Members of the Lakota tribe celebrate President Obama's decision to reject the Keystone XL Pipeline. (Connor Morgan/Medill). Dozens of national youth groups met near the White House Monday to raise their concerns going into 2016. 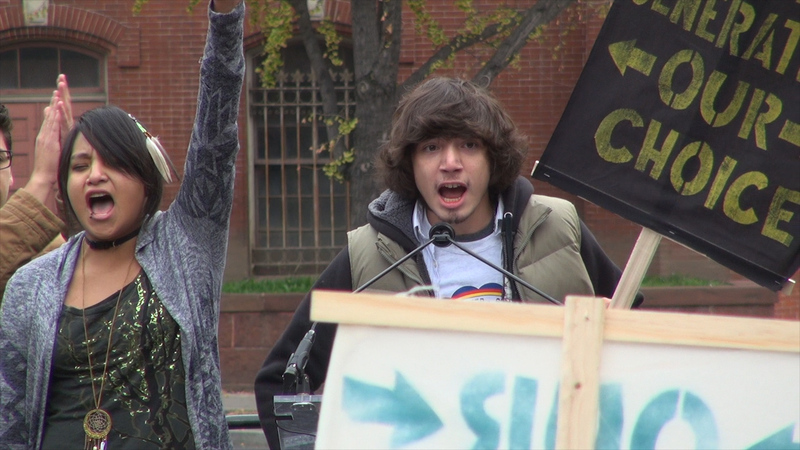 The event called “Our Generation, Our Choice” promoted climate, racial and immigrant justice. Organizers representing the “Black Lives Matter” movement found intersecting concerns with groups fighting against fracking and deportations.